Jax has the special ability to hypnotize people with his color changing eyes. He lived in NYC, where his color blind best friend Tommy seems immune. But he accidentally may hypnotize others. He goes to a institute where he learns to use his powers properly owned by a very rich man, Dr. Elias Mako. But he later finds out that Dr. Mako has a secret plan to jeopardize the U.S. Presidential Elections and hypnotize one of the representatives. Once he hypnotizes other people into voting for that representative, he will also hypnotize the president and take over! That's right, Dr. Mako is WACKO! How will Jax stop Dr. Mako? If he can't, what will happen? I don't want to spoil the ending. Find out in The Hypnotists! I don't want to spoil the second Hypnotists book, either. 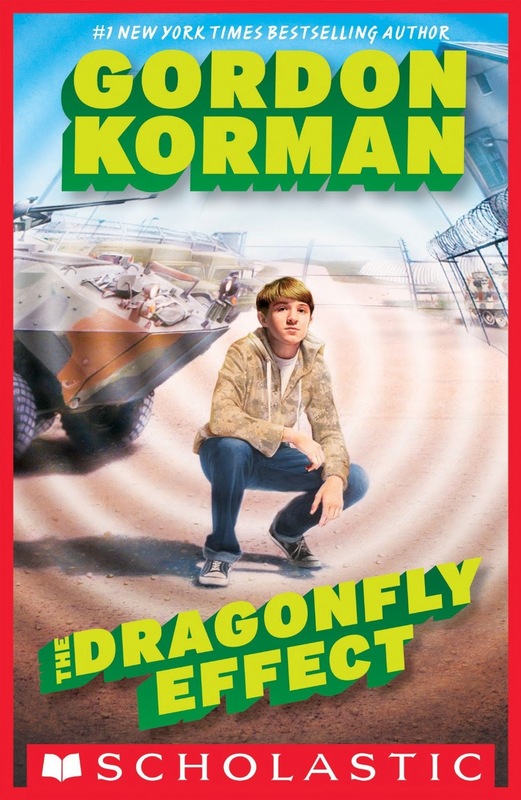 All I can say is, this is an AWESOME series, my favorite series from Gordon Korman. The third book will come out this July, and I am really looking forward to it. I hear it is about Jax being protected by the ARMY. That should be interesting. So as you saw at the top of this post, the title of the new Hypnotists book will be called The Dragonfly Effect and it shows Jax standing next to a tank in the army. Apparently, "The Dragonfly Effect" can cause him to hypnotize people without even looking at them. Wow. Overall, the book series has a lot of funny parts in them, and they really made me laugh. So I highly recommend this book series to anybody looking for a book that's funny and exciting at the same time. Be sure to stay tuned for more on This and That, Here and There. Remember to view this blog daily. Bye!